Fortunately WordPress offers a variety of plugins to combat the problem, some with more positive reviews than others. After testing many of these plugins however I personally found that these plugins were either ineffective or overly difficult to install. 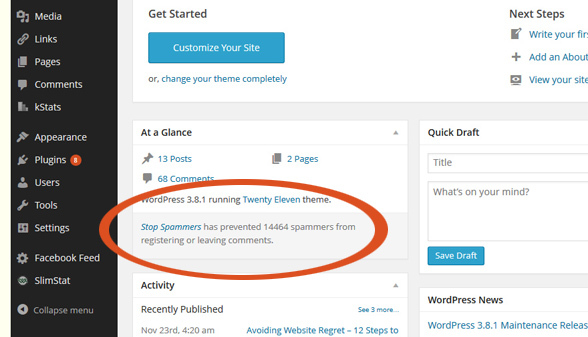 After multiple tries I finally found the plugin that helped me get rid of WordPress Spam permanently…in 30 seconds or less! Then plugin I found is called Stop Spammers and decided to give it a shot pretty randomly not expecting a whole lot. To my surprise my WordPress spam died off pretty quickly and I haven’t head to look back since. Here is a screen shot of what Stop Spammers has been able to do for me so far. Close to 15,000 comments and counting have been eliminated to date. 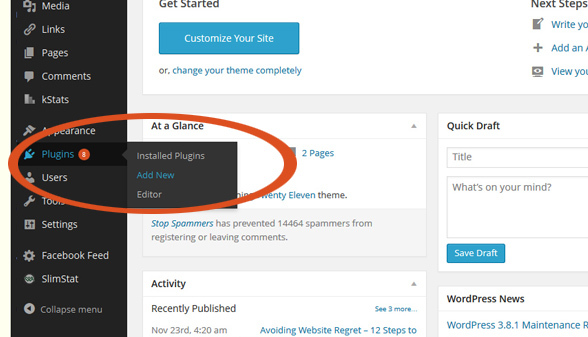 Go to the search field for new plugins and enter “Stop Spammers”. The search menu will bring it up along with several other spam plugins. 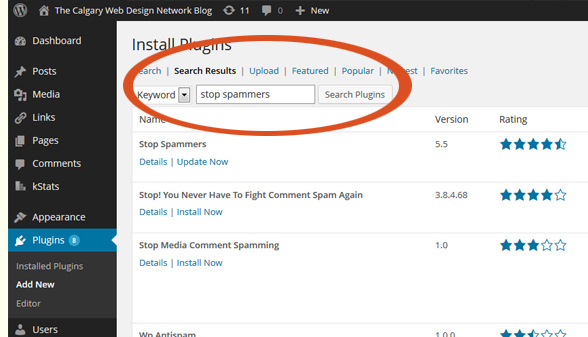 Enter Stop Spammers into the WordPress Plugin Search. 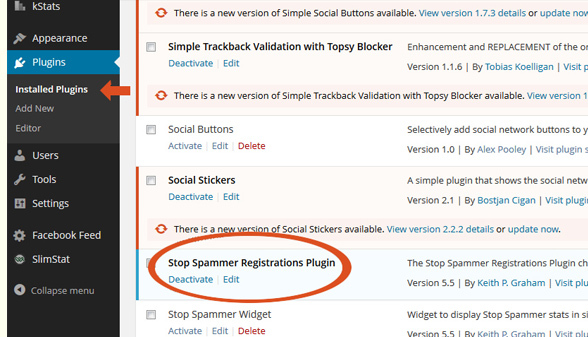 You will find the Stop Spammers plugin along with many others. If one doesn’t work for you there are many others to try. Once the plugin is installed go your Plugins tab then click on “Installed Plugins”. This will show you all of your installed plugins available including Stop Spammers. Click “Activate”. Go to your installed plugins tab and click activate. My plugin has already been activated successfully so it now gives me the option to deactivate as well. I’m pretty sure I won’t ever need to use the deactivate button thanks to the effectiveness of the Stop Spammers plugin. So that’s basically it you’re done! Although plugins may have varying results for different users Stop Spammers nonetheless officially gets my official stamp of approval. Give it a try yourself and see if it works for you, I’m hoping to enjoy similar results.